The phenomenon of tax-free compounding of investment returns is one of great wonder, which allows returns to invested capital to grow faster than ever to reach intended long-term investment goals. 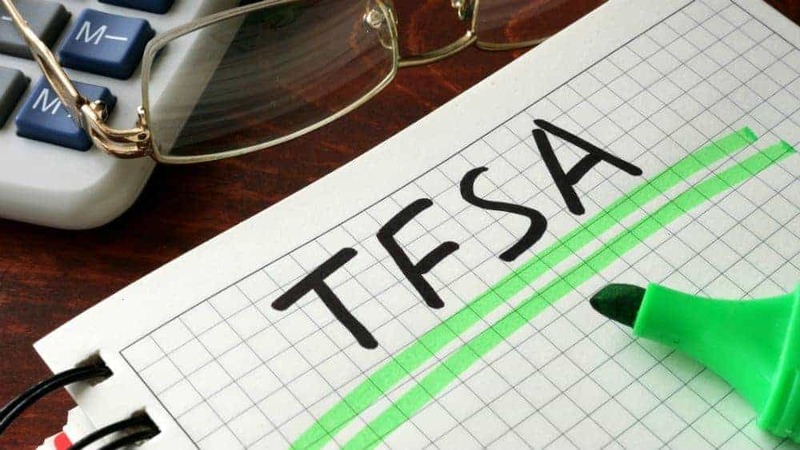 Your TFSA account is arguably one of the best location for any investment that would otherwise attract income taxes if placed in any other account, including those lottery ticket-like stocks that could see sharp price gains — and whose capital gains taxes could be very distressing if positions are allowed to appreciate for decades untouched. The magic of a TFSA also works on steady income streams that could feed capital growth too, thus allowing investors to grow the retirement nest egg faster than otherwise possible while growing their net-worth. Two potential investments discussed below could be low risk, but high-quality stable income investments that if stashed in a TFSA could generate wonderful wealth positions without any tax concerns. The Toronto Dominion Bank (TSX:TD)(NYSE:TD) is an income investor’s favourite in North America, and its dividend growth history could make anyone growing their retirement account want to buy the stock much earlier so that the income yield is higher by the retirement date. The bank’s profits hit new records for 2018, and continues to invest in further growth and operating efficiencies that may allow it to keep its rank as the most efficient and profitable bank in Canada worth buying any time. TD Bank pays a well-covered $0.74 quarterly dividend that at currently depressed share prices would yield a lucrative 4.05% annually for investors who take action right now. Interestingly, TD Bank quarterly dividend has grown by over 140% in the last decade, while marvelous triple-digit capital gains have accrued to the investors during this period. As bank stocks are seemingly getting punished in the short term, investors should know best to take positions during times of valuation weaknesses to lock in the best yields in the best quality financial sector stocks, and TD Bank offers great value right now. Chorus Aviation (TSX:CHR) stock is currently on a good run in 2019 so far, up over 27% year-to-date and there is room for a further upside from here. The stock pays a monthly dividend of $0.04 that currently yields a juicy 6.7%. Further, Canadian resident investors have the option to use the company’s Dividend Reinvestment Plan (DRIP) that took effect in February of last year. The current DRIP allows Chorus to offer investors a discount of up to 5% from the average market price for any shares purchased. The offered discount is currently at 4%, which adds to total returns while removing dividend reinvestment transaction costs and allowing your position to compound tax free. The company recently extended its capacity purchase agreement with Air Canada by an additional 10 years to 2035, which has increased business stability and adds better visibility to revenues and cash flows in an otherwise tough airline aviation industry in North America while providing more security to the dividend payout. Most noteworthy, the latest agreement allows for the expansion in the number of leased aircraft by a further nine planes next year in addition to the 47 aircraft currently leased to Air Canada and being flown under the Air Canada Express brand. The company’s young subsidiary, Chorus Aviation Capital, is executing its third-party aircraft leasing business model successfully, and the company will lease 40 planes to a diverse group of regional flight operators around the globe and the company has funded plans to invest further into the leasing business that enjoys the security of long-term leases. This further enhances the security of the 6.7% yield and could lead to further upside to the share price. Your TFSA could like that. Fool contributor Brian Paradza has no position in any of the stocks mentioned. Chorus Aviation is a recommendation of Stock Advisor Canada.